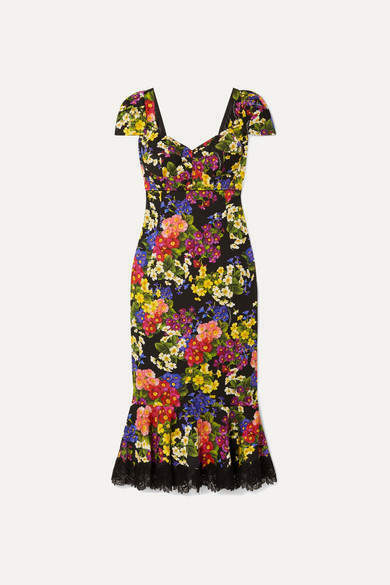 Perfect for your next fundraiser or wedding, Dolce & Gabbana's dress has been made in Italy from silk-blend crepe that's adorned in multicolored blooms. This figure-skimming piece has a bustier-style bodice and falls to a fluted hem that's trimmed with delicate black lace. Wear it with pumps or strappy sandals.